We all love blessings, right? The more the better, I think. A blessing is a favor of God and a life full of blessings is the best kind of life, isn’t it? But don’t fool yourself. God’s blessings are most often not materialistic and temporal but spiritual and eternal. Somehow, that diminishes the ranks of people who want them. We’d like to have a new car and money enough to control our destiny. But that’s not how it works. Spiritual blessings in Christ are better than any fancy car or a huge bank account could ever be. How so? Let me explain. All praise to God, the Father of our Lord Jesus Christ, who has blessed us with every spiritual blessing in the heavenly realms because we are united with Christ. Even before he made the world, God loved us and chose us in Christ to be holy and without fault in his eyes. God decided in advance to adopt us into his own family by bringing us to himself through Jesus Christ. This is what he wanted to do, and it gave him great pleasure. So we praise God for the glorious grace he has poured out on us who belong to his dear Son. 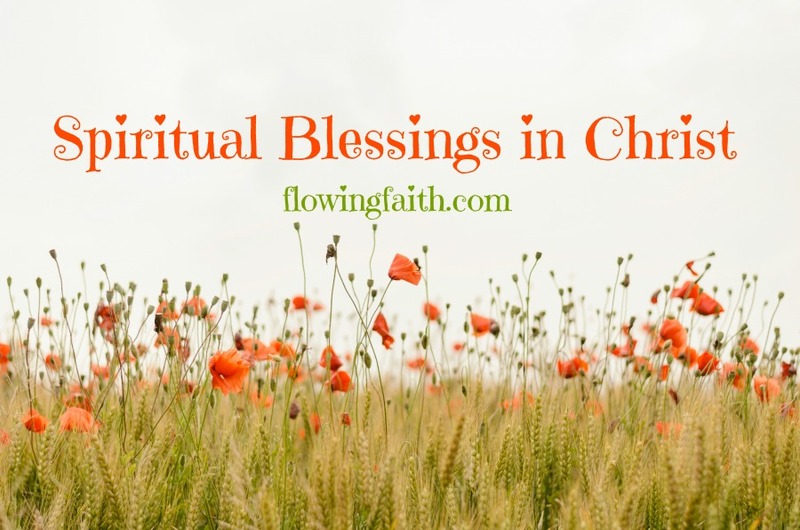 What are spiritual blessings in Christ? Simply, they are God’s gifts to everyone who is one with Christ. They are gifts to the children of God. And they give us more than any temporary benefit could ever do. Because this life is not all there is. This life is only an entrance to eternity. And for eternity we need spiritual blessings in Christ. Without them, we can’t even get into heaven. Hence, the biggest spiritual blessing is salvation. Long before our time, God already loved us and chose us in Christ to be his adoptive family. Because of Jesus, we can now be holy and without fault in God’s eyes. What an amazing blessing for sure. God loves to pour all kinds of spiritual blessings in Christ on us like love, grace, forgiveness, and acceptance. Spiritual blessings in Christ are God’s favor for us. He wants to give everything we need to live victoriously. When we are united with Jesus, everything that is Christ’s is ours. Talk about spiritual blessings: his peace, joy, power, wisdom, and grace. Yet, only people who are spiritually alive value spiritual blessings in Christ. But for us, these are priceless, better than rubies, greater than anything we could ever desire. Thank you for loving us without measure. Forgive us for not valuing eternal things more. Help us to see what is real and what is not. Instill in us a deep desire for all things eternal. Pour out all the spiritual blessings in Christ on us. Q4U: Do you value spiritual blessings in Christ? Do you see them at work in your life? How many blessings could you find in the Bible passage? Image courtesies of Henry Be via Unsplash.com, design by Mari-Anna Stålnacke. Linking up today with Dance with Jesus, Five-minute Friday.